In medieval times, this area was just outside the city and criminals were beheaded here. Unfortunately the Sicilian government was corrupt in those days – not any more, of course! – and many innocent people were beaheaded, too. For a time, anyone with a lot of money, or a beautiful house, was at risk of attracting the jealous attention of some government official, who would accuse him of a trumped-up charge and have him condemned, so that he could sequester his assets after he had been put to death. I have been told by a Syrian man that similar events were perpetrated by the government officials in Syria, contributing to the outbreak of the tragic civil war there. The severed heads of the people beheaded in Via de Decollati were stacked up in pyramids and put on display, to deter others from committing criminal acts, or perhaps from having overly nice houses. Their bodies, meanwhile, were tossed into an open mass grave across the road. The street was said to be haunted by the screams and shouts of decapitated people. History records that many people went to their deaths screaming and protesting their innocence, railing in fury at those who had falsely accused them and howling with angry protests till their very last breath. It is easy to imagine why many people continued to hear these voices echoing in the street at all hours, and were terrified of walking along the road. Either it was that, or else perhaps the unbearable stench of the bodies – it goes up to 40 degrees here in summer. Innocent people killed in this way were almost martyrs, and so people prayed to them to grant wishes and help them in their moments of utter desperation. The Cult of The Beheaded Ones was a cult for the truly desperate. Some prayers written in Sicilian still survive, where people would list various victims of execution and ask them to band together to help them avoid the type of injustices they themselves had died for. In time the executions stopped and, in 1785, a church was built on the execution site, dedicated to St. John the Baptist. 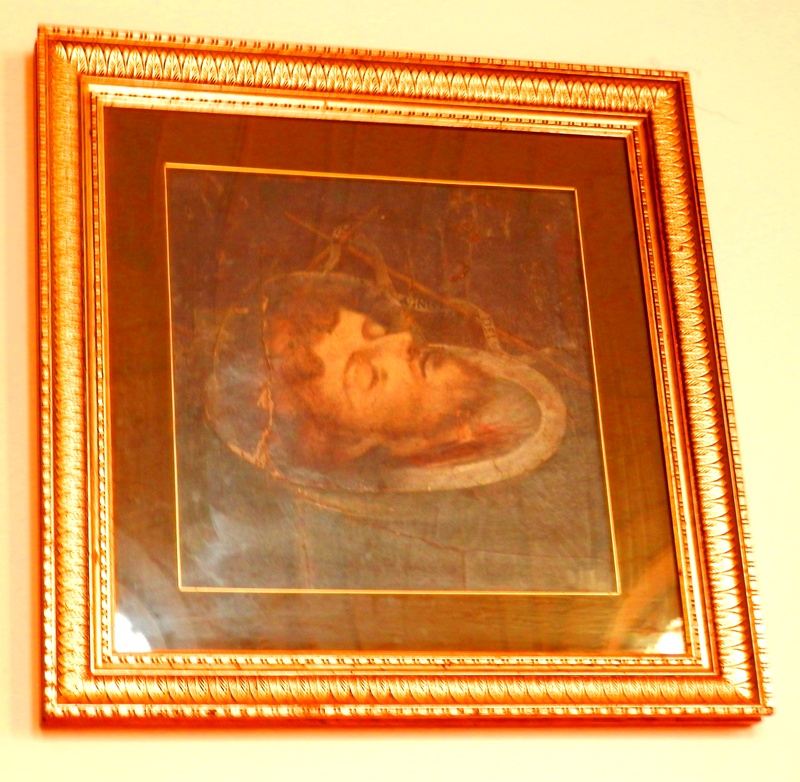 There is an oil painting of his head – just his head, on a plate – hanging in the church. If you’re looking for them, the “severed head” theme is visible all over the church. I think most of it was the result of baroque interior design, and unintentional, though. When the church was built, it was still on the outskirts of Palermo, surrounded by trees and shrubbery. This picture is from the church’s official website. Click on the image to go there. Jesus, above the altar of the Chiesa de Decollati. He is wearing a triangular halo and appears to be surrounded by severed heads. Angelic severed heads. Everyone called the church “The Church of The Beheaded Ones” and, eventually, this became its official name. The beheaded criminals from then onwards were buried in a graveyard in front of the church. For protestants this is normal, but to Catholics, having a graveyard in front of a church is unusual and creepy. The Cult of the Beheaded People was followed mainly by the women of Palermo, who attested to many miracles that had been granted by the beheaded ones. They left hundreds of votive offerings thanking the Beheaded Ones for wishes they had granted and help they had given. 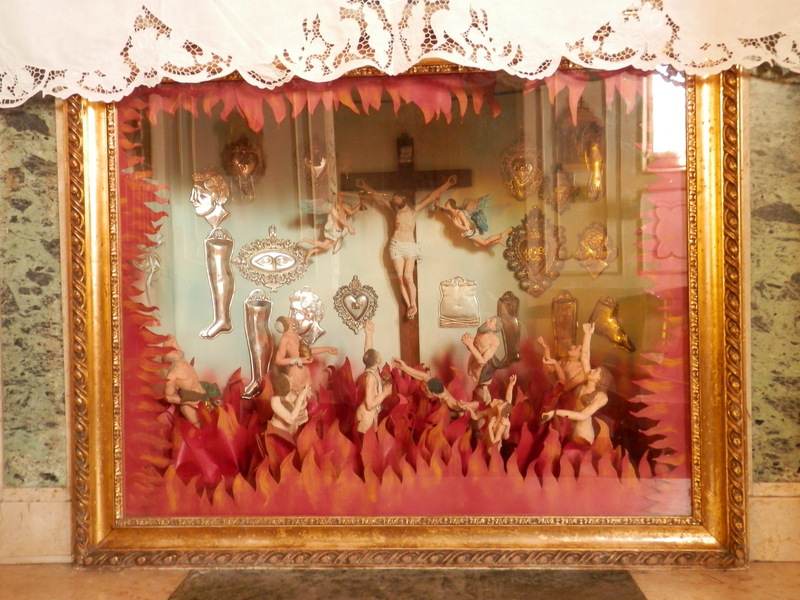 Some are displayed in a glass case in the church. The cult has died out now, but the church still stands and is used to celebrate mass every week. St. John the Baptist’s head. A selection of votive offerings, from people thanking the Beheaded Ones for their help; there are silver legs, arms and other organs, which the Beheaded Ones healed. The little head in profile is not connected to beheadings, but rather, from someone who had a medical problem in the head, such as recurring headaches or possibly mental illness. Now they don’t behead you , they just tax the life out of you. True! Probably the reason why 50% of Italians evade taxes, including politicians…. Wowee! 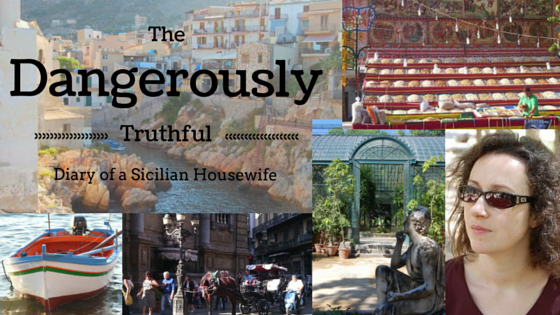 Dangerous place to live, Sicily! It looks like Jesus has a mortar board on his head. And that last photo looks like a modern day ode to religion played out with Barbie and GI Jo toys. Uh-oh… will I get my head chopped off for saying that? Oh yes, a mortar board! You’re right! My favourite part about the Barbies is the way they are burning in hell fire. Another great post! Thanks so much. Next time I visit Sicily I would love to see the “Beheaded Ones” church. Makes you feel glad not to have been around then. Also reminded me of a newspaper article I read recently about people who have paid to have their heads deep frozen to be revived in 200 years or so (a macabre thought). Oh that’s creepy, I didn’t know they were really doing that. I once read a ridiculous novel in which a group of Nazis had cryogenically frozen Hitler’s head in order to bring him back to life in the future to create the 4th Reich. Yes, I had to read the entire novel to find that out in the last sentence. It had started out like a brilliant thriller, got a bit far fetched near the end, and turned into that. I’ve never read a thriller since. Egad ! Today’s city planners would have their heads on the block for even thinking to name a street something like Decapitation Alley. I bet Palermo has many other colorful if not graphic street names that speak of their historic or folkloric origins. Most macabre road names of comparable interest here are found in southern and western states. In recent times, land developers and city planners have taken to naming streets after English towns and villages; anything with a tail like -shire as in Yorkshire, Cheshire, Berkshire is tremendously popular. Nobody cares what the suffix means, they just like the prestige the English place names carry in the USA. 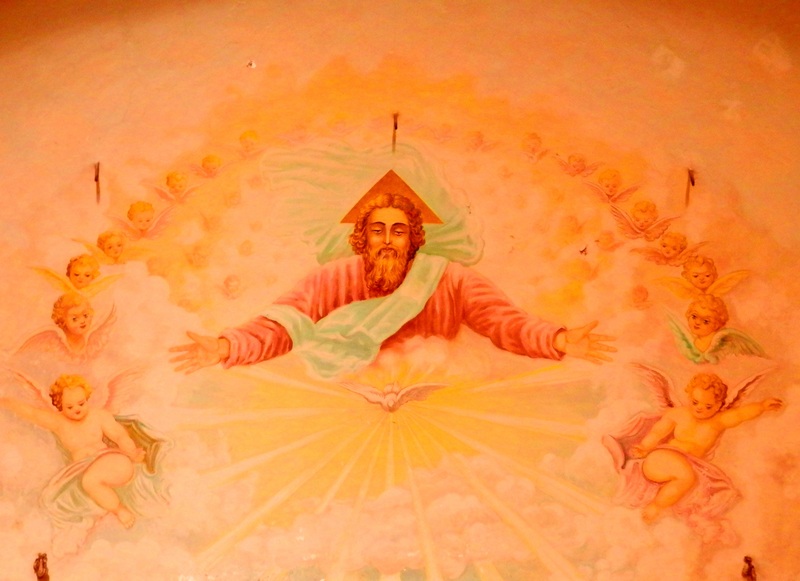 Meanwhile, I bet that the main figure with the triangular halo in the fresco on the dome over the altar is supposed to be God the Father as Jesus is usually shown with a round halo. Thanks for another interesting topic. I love these far out place names. In my tiny fishing village they have named at least half the streets after places in the US – again, because it sounds exotic and prestigious. There’s Via Michigan, Via Mississipi, and so on. Really? A picture of God? Is that allowed? 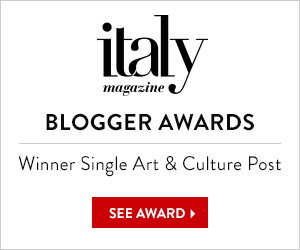 Now I SO want to visit Palermo! 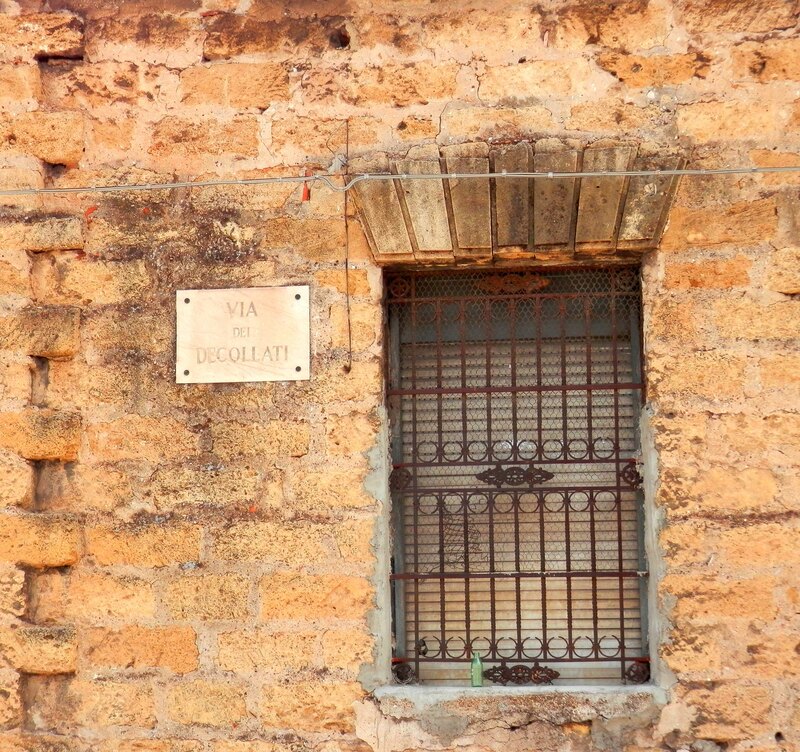 There is an edicola, a small stand, on the corner of Corso dei Mille and Via Decollati which has in image of John the Baptist being beheaded, one of Christ on the Cross, and another of a soul, its hands bound, hung from the neck. In the Google street view you can see people still put flowers and candles on it. So, the veneration of the saintly beheaded dead lives on in this neighborhood! Do you live in Palermo? You seem to know the city extremely well…. No, I have never been south of Rome, but I have some Sicilian ancestry. My great-grandparents came from Giuliana, south of Palermo; they came to New York at the turn of the century. A rather common American story. I am a writer currently working on a book on popular, or folk forms of worship in Christianity, Judaism, and Islam, and I have a small section on the decollati. I read about it in Michael Carrol’s “Veil Threats: The Logic of Popular Catholicism in Italy. ” The book explores how church authorities reacted to such phenomenon as veneration or outright worship of beings like the decollati. One way was to push for the newer, Church accepted concept of Purgatory. It only partially worked. The edicola mentioned above is proof of that. People still see this “cult” of the beheaded dead as a source of power, even if the memory of why it is done has faded or is gone.